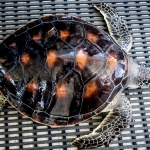 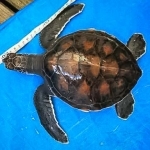 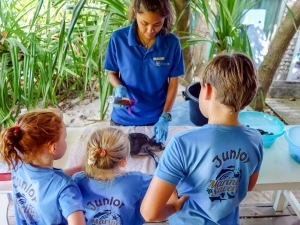 G56 – our reared Green Turtle (Chelonia mydas) reached the target carapace (shell) length of 30cm this month. 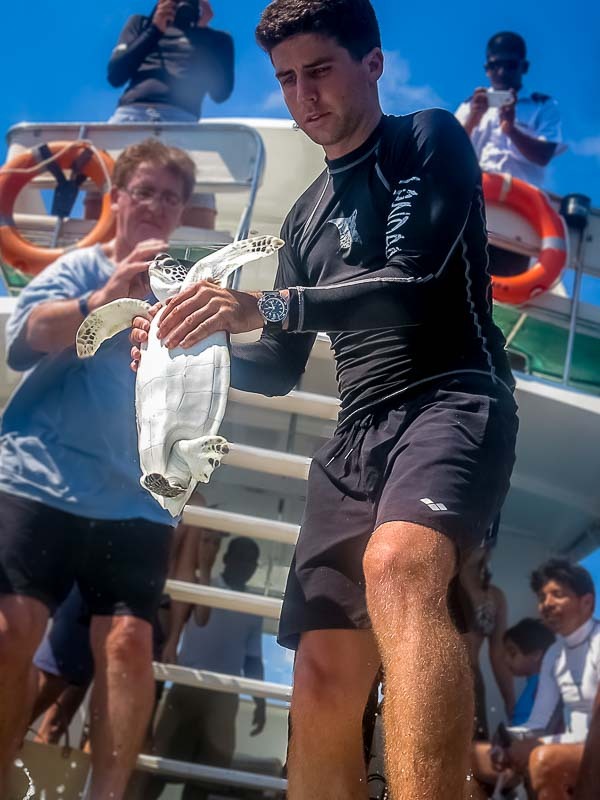 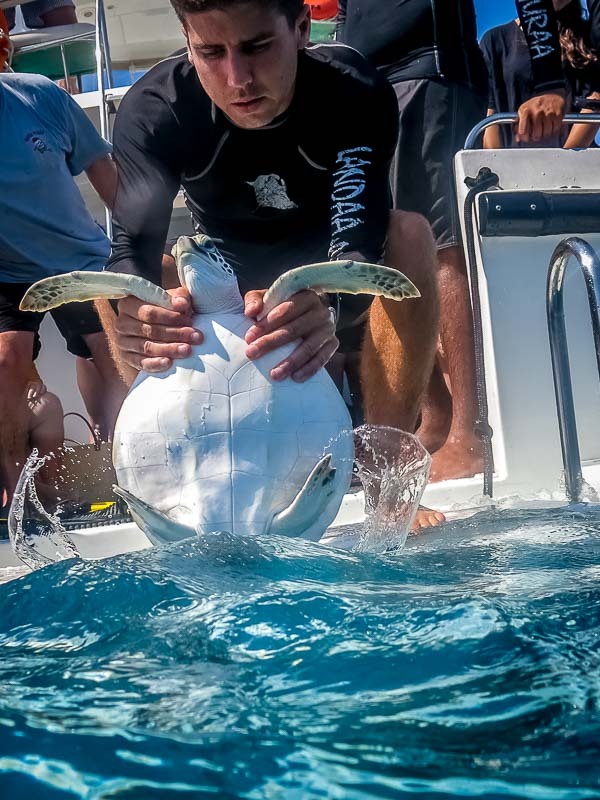 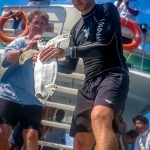 He was successfully released into the ocean on 27 August, during a marine life safari excursion at Makunudu (N. Malé Atoll). 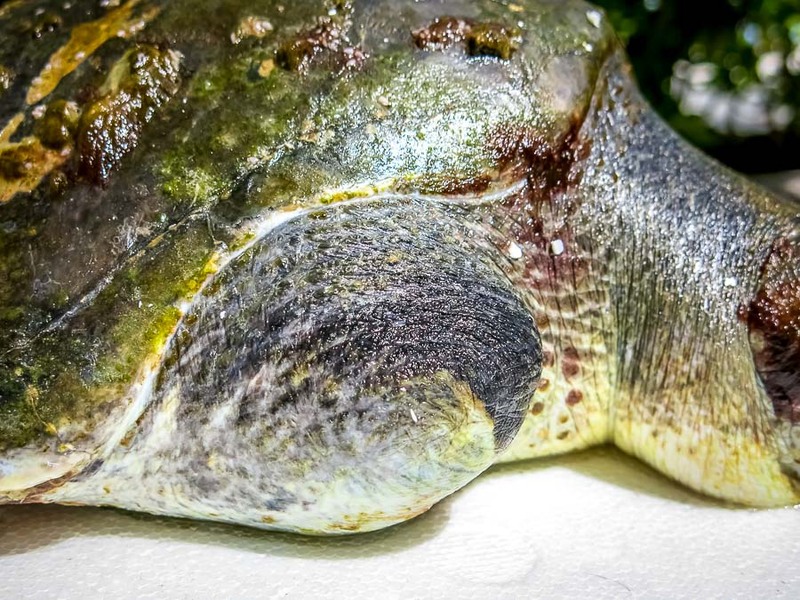 Elsa – our long-term resident Olive Ridley turtle (Lepidochelys olivacea) was initially rescued back in June 2013 in N. Malé Atoll, entangled in a drifting ghost net and with both front flippers missing. 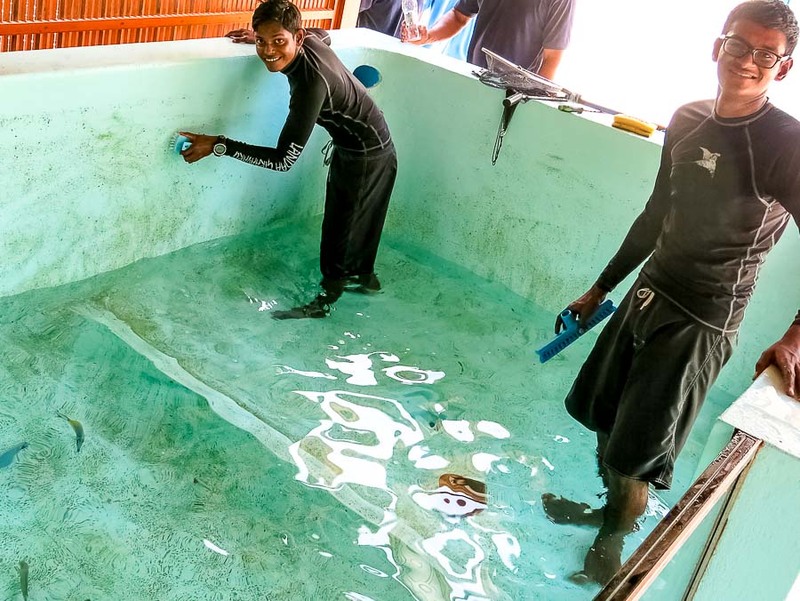 After a few months of care at our Centre, her floating syndrome improved greatly, and subsequently she regained the ability to dive down and feed herself from the bottom of the pool. 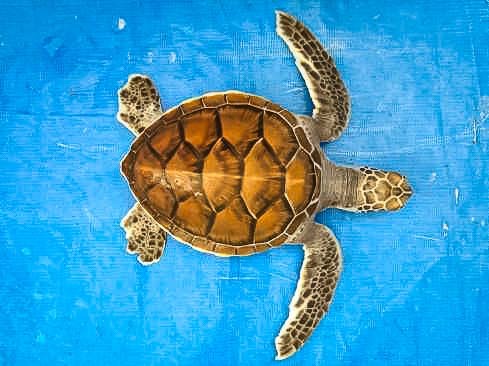 She was transferred to Landaa Giraavaru this month, and we will continue to monitor her progress in the hope of a release in the near future. 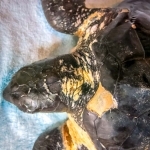 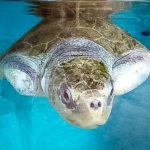 Lefty – was found on 1 August, floating on the surface of the sea in a stressed state, dehydrated and emaciated. 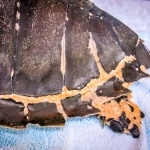 He is unable to dive, with a weak rear left flipper and a scratched carapace. 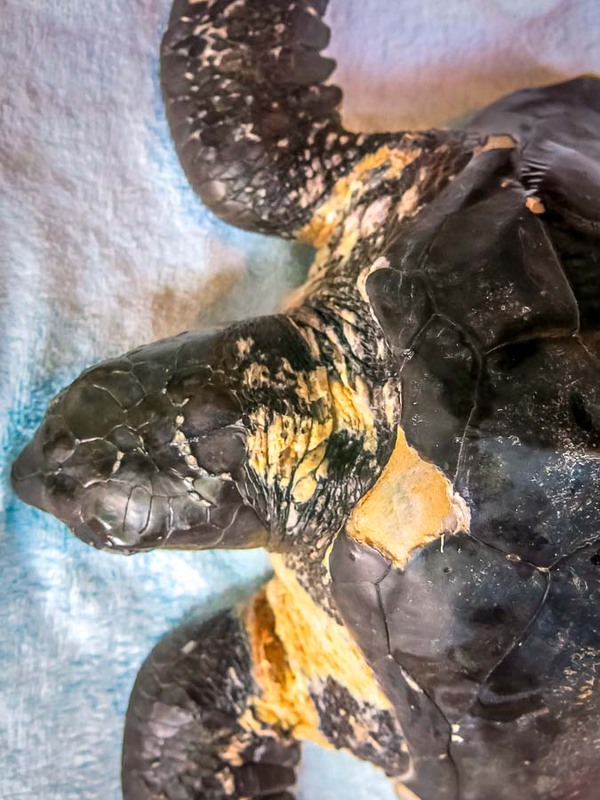 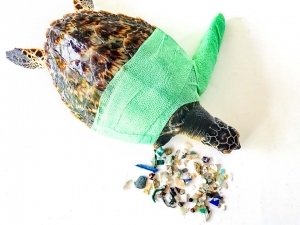 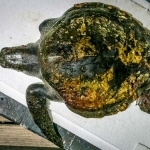 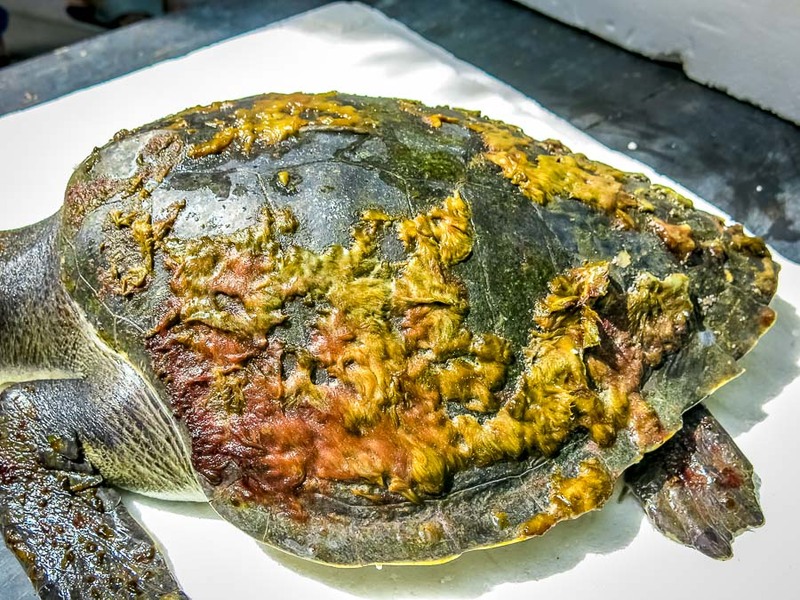 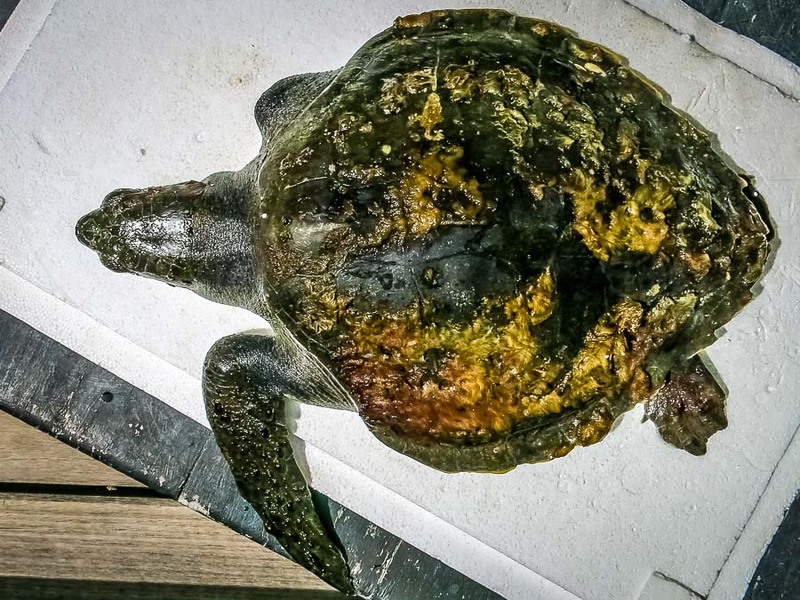 We administered laxatives to try and help the passage of any internal blockage (possibly caused by ingested marine debris), followed by an iodine bath to treat his damaged skin and carapace. 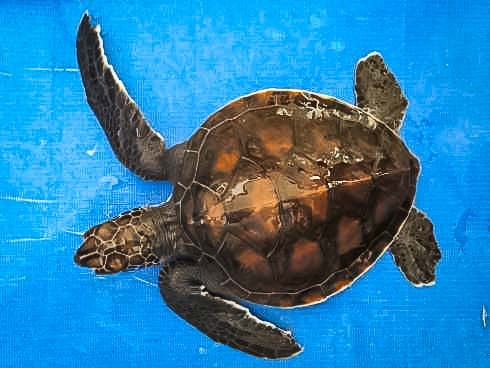 Peggy – after being found floating on the surface on 25th of August 2014, he was transported to our Centre at Landaa Giraavaru. 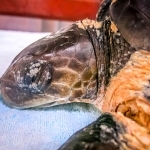 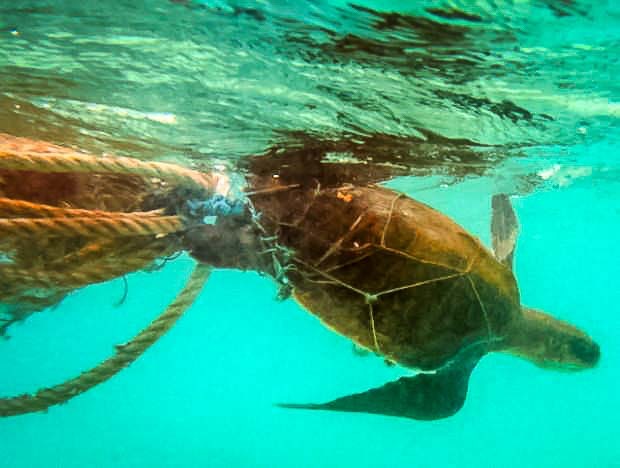 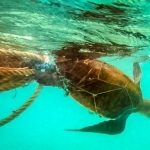 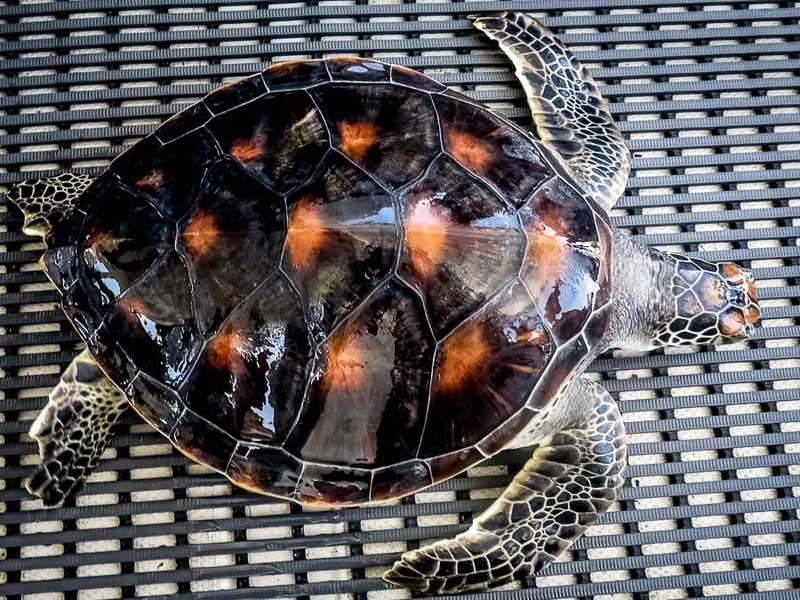 Riusha – was found tangled in a ghost net on the last day of August. 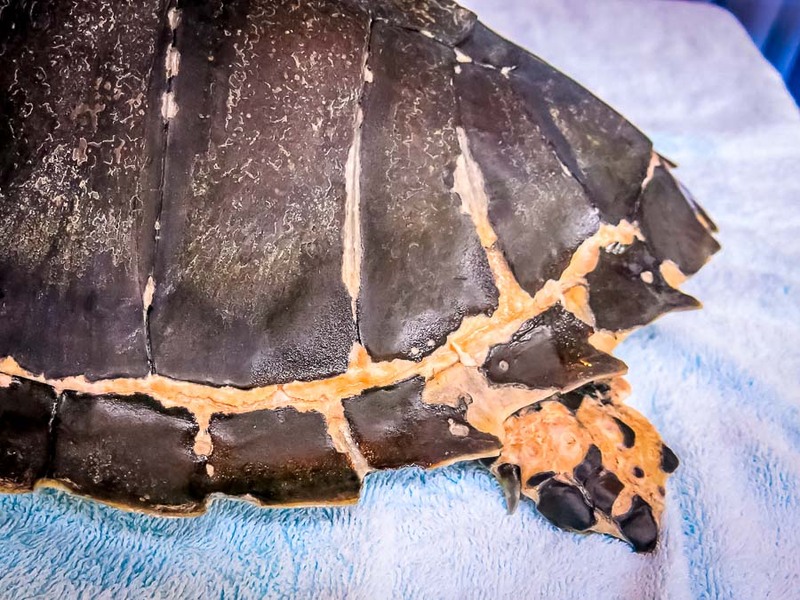 He has a deep laceration to the front left flipper, many body abrasions and bruises, and an abnormally soft carapace. 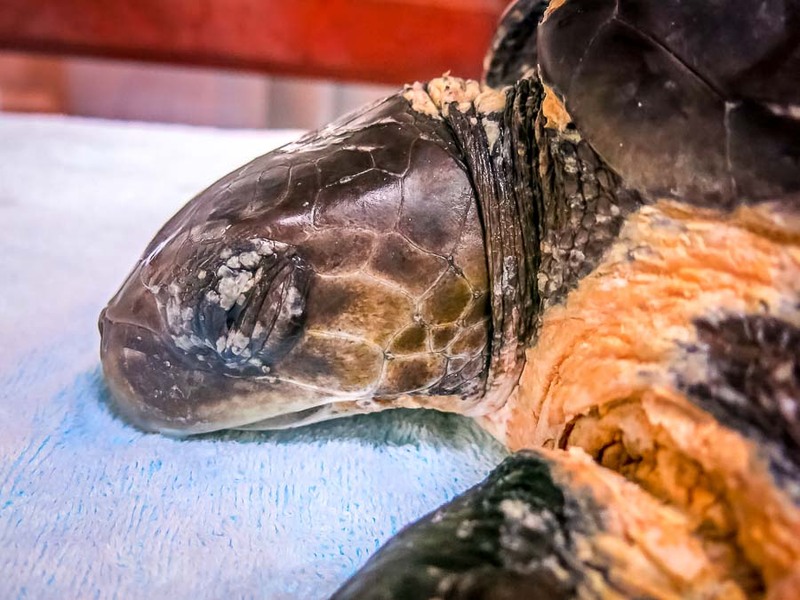 Both sides of his mouth have also been severely damaged by the net, making feeding very difficult. 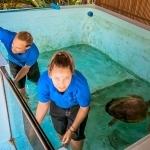 The turtle was given a rehydration drip followed by a fresh water bath, to help hydrate him and kill any parasites on the body. 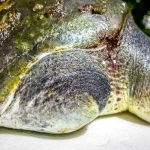 His cuts and abrasions were treated with antiseptic, and we are closely monitoring his condition. 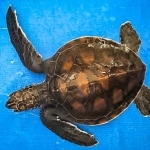 On 19 August, we successfully rescued an Olive Ridley turtle from our own lagoon. 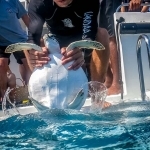 It was sighted at the Water Villas, entangled in a small ghost net. 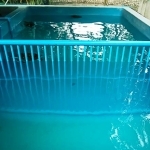 We were able to successfully cut the animal free, and as it appeared perfectly healthy and full of energy, we decided to release it straight away. 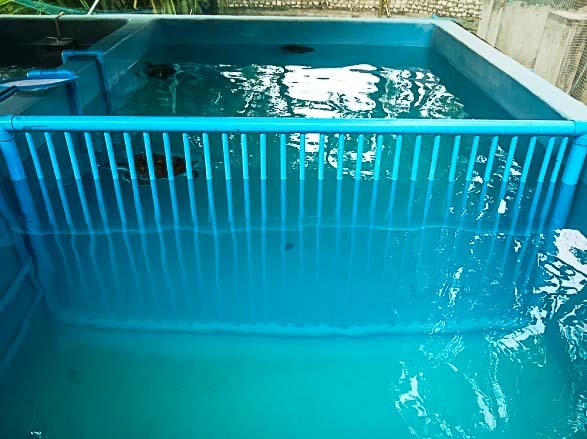 Three juvenile Green Turtles were received into our Centre on 29 August. 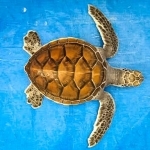 They had been kept for nine months as pets by locals on the island of Kinolhas Island (Raa Atoll). 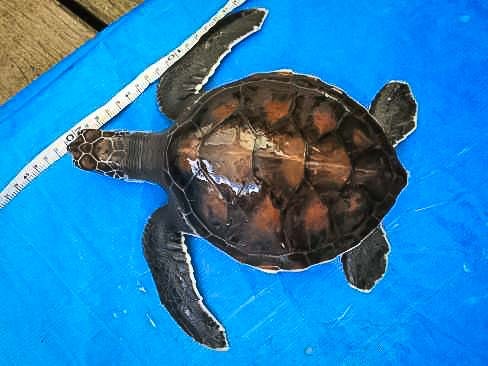 The plan is to send them to Kuda Huraa to join the Head Start Programme, where they will be professionally cared for and reared until they reach 30cm in length, before being released. 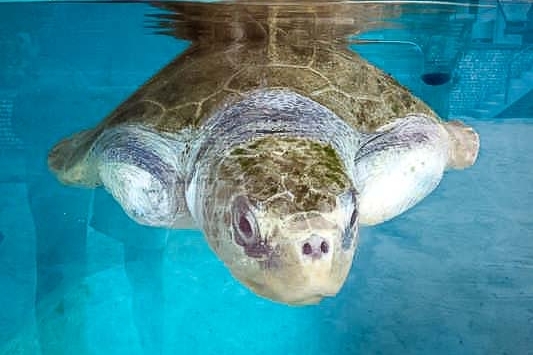 Our long-term residents Ossy and Zahiya are still with us, and unfortunately still suffering from buoyancy syndrome. 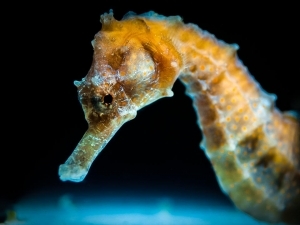 We are in close contact with Singapore’s S.E.A. 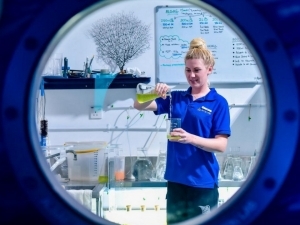 Aquarium (the world’s second largest) and senior veterinarians will be visiting our Centre in November to assess our facilities and offer advice. 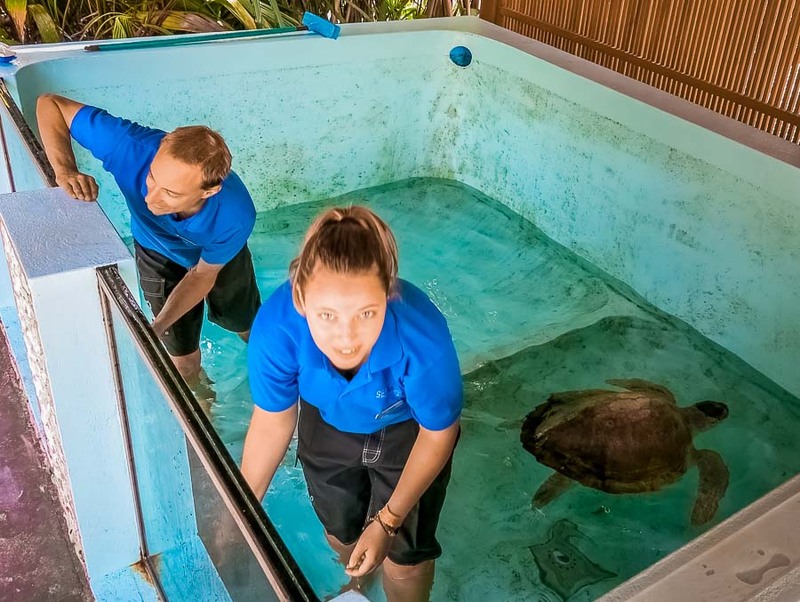 Our new turtle pools need a regular weekly clean, and as you can see it’s quite a big task! 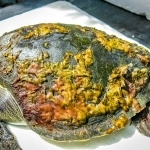 They need to be fully drained, and then we use brushes and a power wash to remove the accumulated algae.